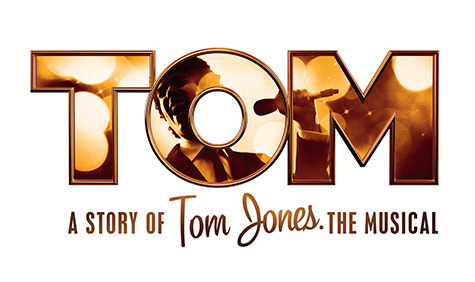 The gorgeous tones and Welsh charm of pop legend Tom Jones are heading to Bromley next week with the arrival of Tom the Musical. With hits such as It’s Not Unusual, Delilah and Green Green Grass of Home, the show is sure to be a winner with any Tom fans in the area. Ahead of the Bromley press night at the Churchill Theatre I met up with leading man Kit Orton to talk about the show, cheesy Tom Jones songs and rocking Cardiff in their opening week. Why did you want to be involved with this show? Well when the call came in, I first thought ‘oh no it’s gonna be a jukebox musical’. But after meeting the director and the team, and seeing some of the script, it was very clear that it wasn’t. It’s a very different way of telling a story of someone that everyone knows by telling the story of a part of his life that nobody knows about, so I was really interested in that. Being a Welsh boy I grew up listening to Tom Jones and it was a dream come true. My party trick growing up was to sing any song in the style of Tom Jones. They’re doing this now on the tour with #ChallengeKit at each venue. I steer clear of an impersonation and just have hints of Tom and I’m loving it. So you’re a Tom Jones fan then? He’s one of those people that you’ve got albums of his on your iPod and you don’t know how they got there. Maybe it’s just because I’m Welsh! I think I bought the Reload album and that got me really into him, then I started listening to the back catalogue. As a singer you can’t help but admire the talent of him. Dare I ask what your favourite Tom Jones song is? There are so many! You know what, I really like the cheesy ones like Help Yourself but it’s probably I Who Have Nothing – hearing him duet with Shirley Bassey on that one is amazing. You mentioned that you were worried about the show being a jukebox musical. What can audiences expect? 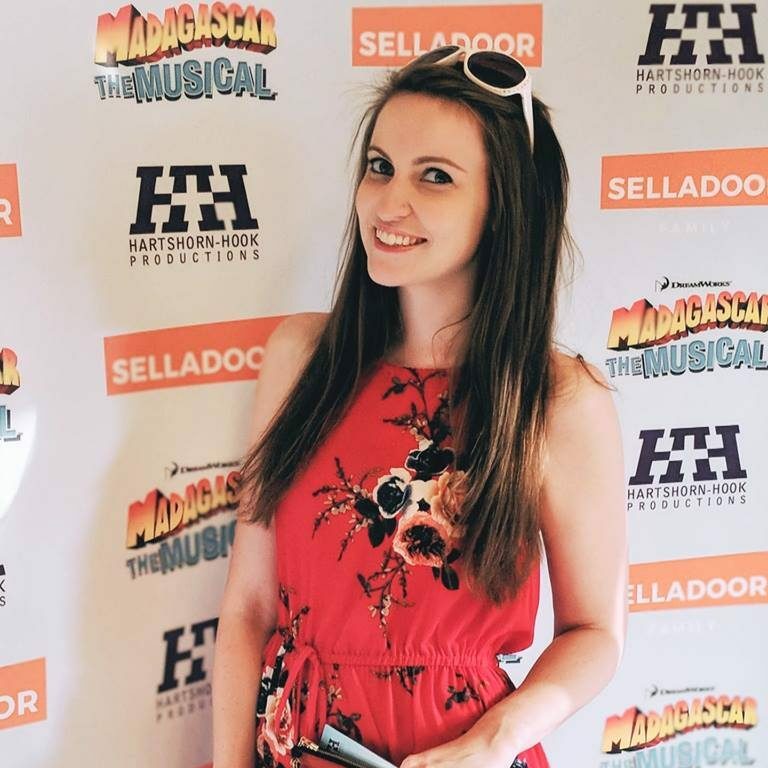 If it was a jukebox musical they would have a moment in the show where Tom Jones buys a cat and calls it Delilah and he says ‘what’s new pussycat’ for no reason at all. 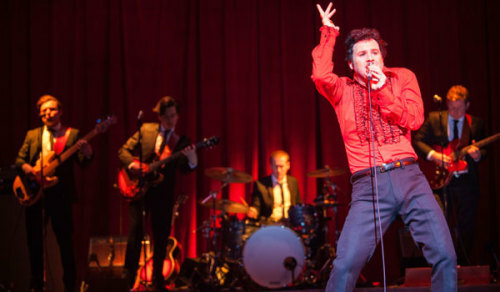 The show is really clever as what you’re getting is essentially a play; it is a gritty funny play, but you’re getting live gig performances in chronological order, so you’re seeing what it was like to watch Tom in a working men’s club during the Sixties. There’s not a song for a song’s sake, it’s showing a journey and the musical growth of a performer who is such an icon now. The first time you hear Tom sing is completely unaccompanied up a mountain. He doesn’t sound like Tom because he hasn’t discovered that voice yet. My challenge is to show the growth of someone you know very well now and to get his progress from age 16, finding his vocal and physical ability in performance through eight years and ending up with that iconic voice you know from It’s Not Unusual. That’s my challenge and I love doing it. People come in expecting one thing and leave with another but they’re still happy. You started in Cardiff back in March; how has the show developed since the first performance? We all find our feet as we journey through it I don’t think it will ever be at the point that we are tired or we haven’t found new things to do yet. We have to gauge our audience every show and work harder on some nights and that’s what a show should always do – it should never rest on its laurels. I certainly can’t in my position as I obviously have to give that electric performance every time. But the Cardiff opening week was insane. We had to put an extra show in as the ticket sales were so good. There were 2000 people every performance, and to have 2000 people singing Delilah with you at the end of the show was mind-blowing. So you feel that audiences have been receiving it well? The audience reaction was euphoric. They get what we are trying to do and it’s a shame that some of the reviewers maybe haven’t as they come expecting a jukebox musical. But the audience have been up on their feet every night so that’s all you can ask for. 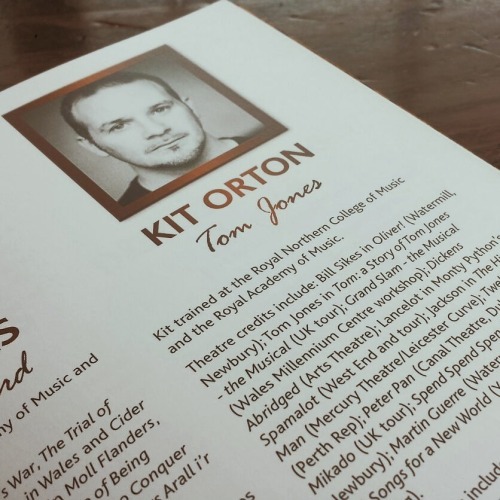 You can see Kit Orton as Tom Jones in Tom the Musical from Tuesday 26th April at the Churchill Theatre, Bromley. Tickets are available online now and my review will be posted after the show!